Los Osos is a peaceful bayside community that is home to a number of outdoor activities along Central California’s coast. Los Osos is conveniently located just off scenic Highway 1, halfway between Los Angeles and San Francisco. Located just south of beautiful Morro Bay and its famous giant rock landmark, Los Osos lies along Estero Bay and is the gateway to Montaña de Oro State Park, one of the most beautiful oceanside parks in California. 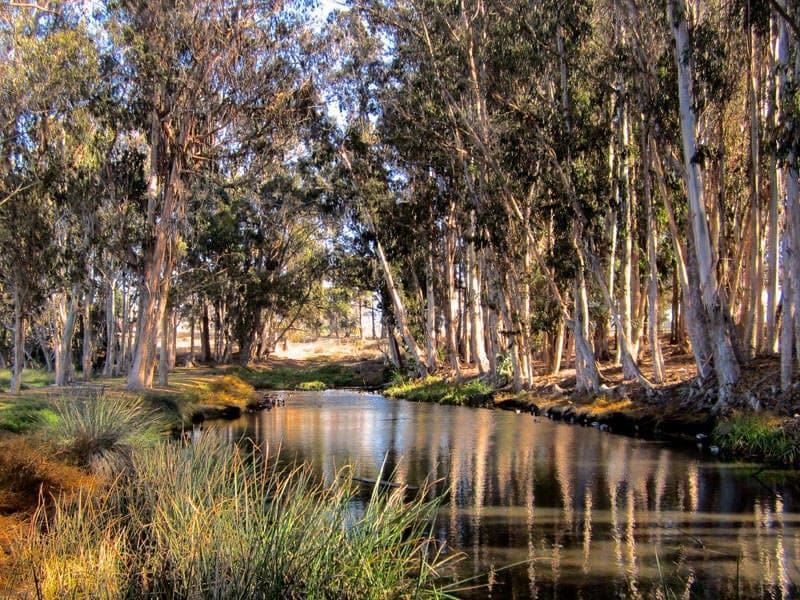 If you enjoy hiking, water activities, bird watching, and other outdoor adventures, this lovely area of Central California is the perfect place for a weekend nature break. Ethan and I were very excited to be invited to spent a day and a half in Los Osos exploring the lovely parks, estuaries, nature preserves, and bays surrounding this lovely town. 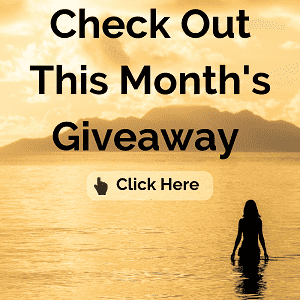 We’ll tell you all you need to know to start planning your own visit to Los Osos, provide a list of parks and natural areas that you may want to consider visiting, and share our own outdoor adventures in and around Los Osos. Driving is the easiest way to get to Los Osos, which is located in San Luis Obispo County along California’s Central Coast, halfway between Los Angeles and San Francisco. The town is located off Highway 1. It is about a 10 minute drive from Morro Bay or a 20 minute drive from San Luis Obispo. The nearest airport is located in San Luis Obispo. Whereas you can explore some places in Los Osos on foot, we’d recommend a car to be able to conveniently get to and from the various attractions in the area. Here is a list of several places you might consider visiting on a trip to Los Osos that are located in Los Osos, Baywood Park, and nearby Morro Bay. In addition to the parks, beaches, and nature reserves, we’d also recommend considering booking a guided kayaking, hiking, or biking tour and a quick visit to the Morro Bay Natural History if you’re interested in learning more about the area. We personally had a chance to visit all of the following except El Moro Elfin Forest, Morro Strand State Beach, and Los Osos Oaks State Nature Reserve. 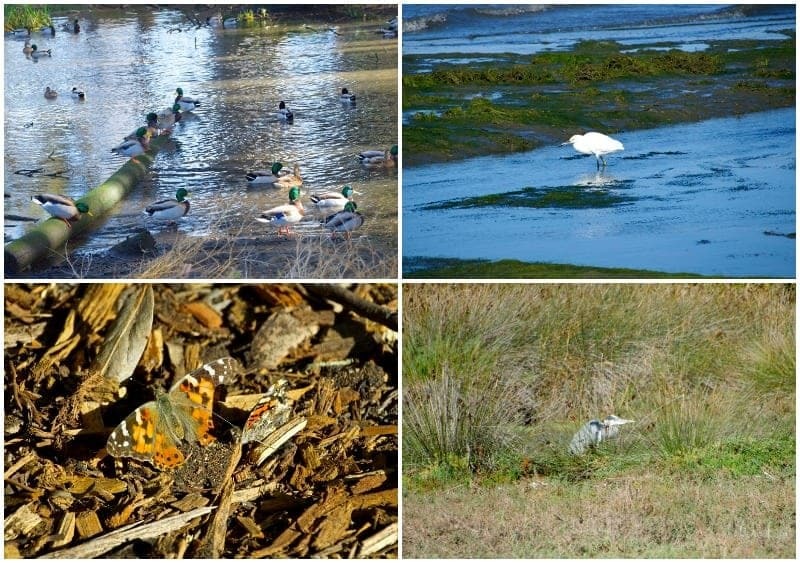 Audubon Sweet Springs Nature Preserve – 660 Ramona Avenue, Los Osos, CA 93402 – 805-772-1991 – A 24 acre nature preserve with easy walking and hiking trails. 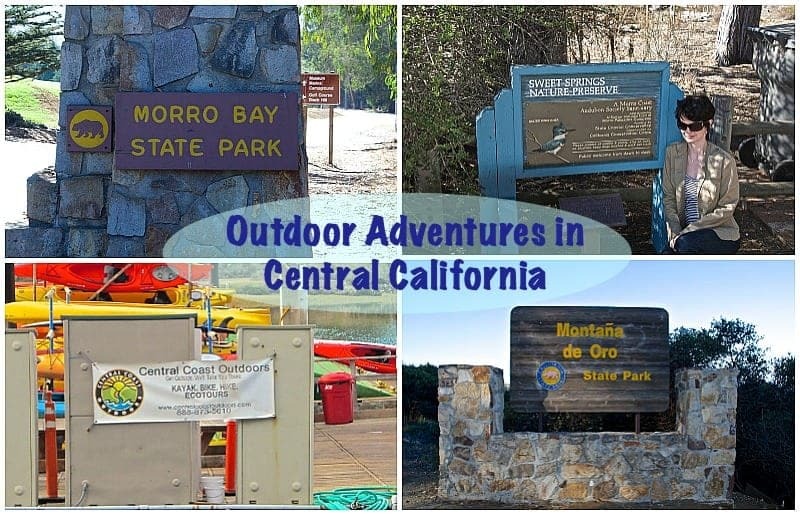 Central Coast Outdoors – 10 State Park Road, Morro Bay, CA 93442 – 805-528-1080 – A small local adventure company that specializes in guided biking, hiking, and kayaking adventures along the Central Coast, including in and around Los Osos and Morro Bay. El Moro Elfin Forest – Elfin Forest, Los Osos, CA 93402 – 805-528-0392 – A 90-acre nature area that offers easy scenic nature walks and scheduled docent-led walks. Heron Rookery – 20 State Park Road, Morro Bay 93442 – Located near the entrance to the Morro Bay Natural History Museum within Morro Bay State Park, a cluster of eucalyptus and cypress trees provide roosting and nesting sites for a number of birds, including the great blue heron, great and snowy egret, black-crowned night heron, and double-crested cormorant. 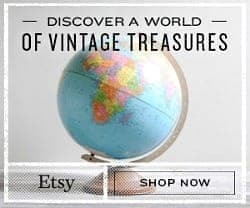 Los Osos Oaks State Nature Reserve – Los Osos Valley Road, Los Osos, CA 93402 – 805-772-7434 – This nature reserve allows for easy hiking among a number of plant species, including a 90-acre grove of dwarfed 800-year-old coast live oaks in an ancient sand dune habitat. 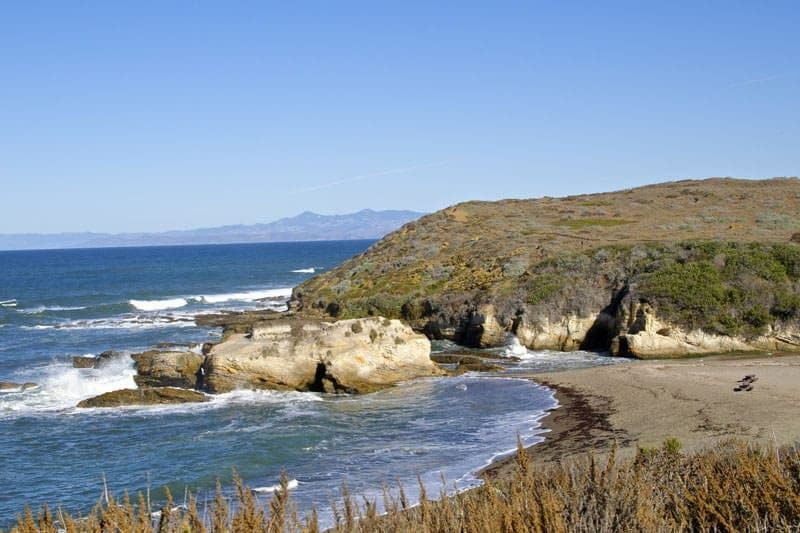 Montaña de Oro State Park – 3550 Pecho Valley Road, Los Osos, CA 93402 – 805-772-7434 -This spectacular park includes tide pools, beaches, cliffs, coastal plains, and large hills; the park offers hiking, picnicking, mountain biking, horseback trail riding, and camping opportunities. Don’t forget to stop and see the beautiful and popular beach Spooner’s Cove and the nearby park Visitor Center which is housed in the old Spooner Ranch House. 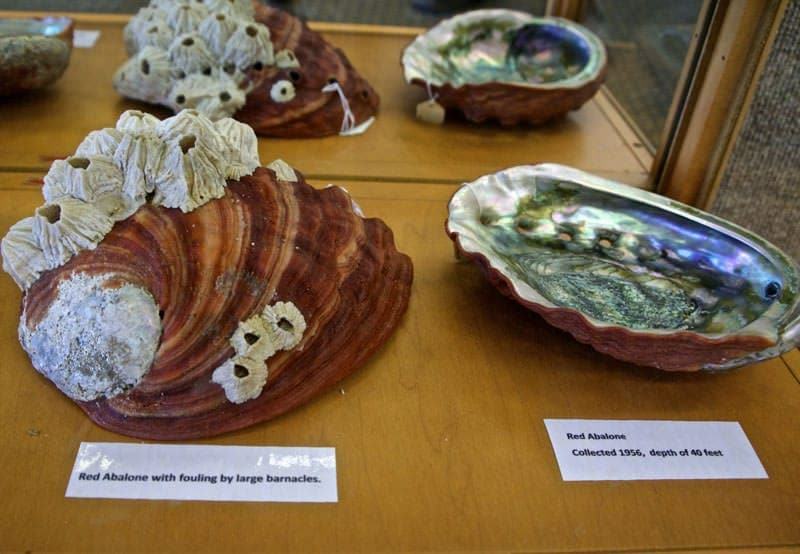 Morro Bay Museum of Natural History – 20 State Park Road, Morro Bay, CA 93442 – 805-772-2694 – This small museum overlooks the Morro Bay Estuary and features family-friendly interactive exhibits showcasing the natural history of the area. Entrance fee is $3.00 for those 16 years of age and older (free for children) and the museum is open from 10am-5:00pm daily. 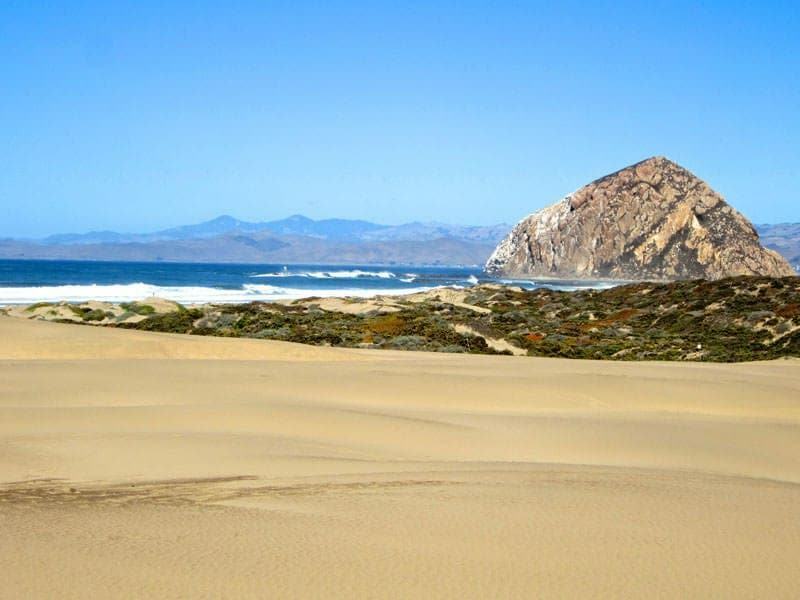 Morro Strand State Beach – Yerba Buena and Hwy 1, Morro Bay, CA 93442 – 805-772-2560 – This beach is a good spot for picnicking, camping, swimming, fishing, windsurfing, jogging, kite flying, and other beach activities. There are also a lot of opportunities for nature-focused travel stewardship in this area so if you enjoy volunteering, you can read about ways to add a few hours of “doing good” to your travel itinerary. 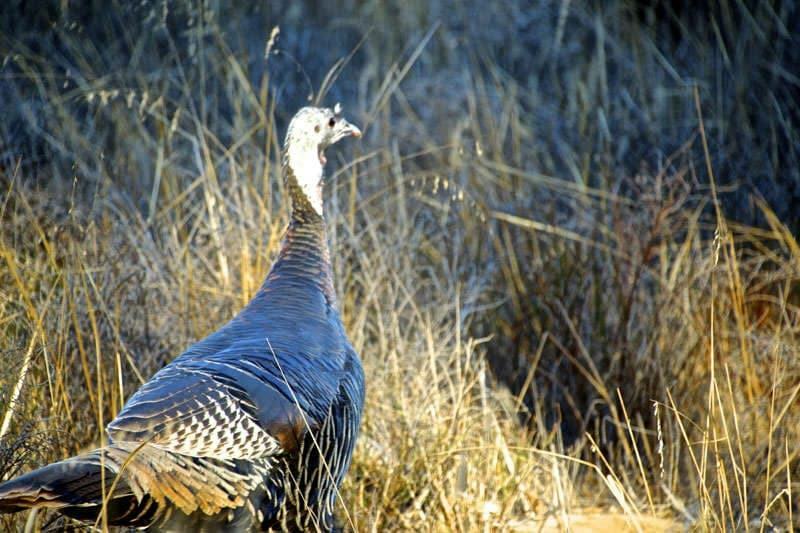 Want to check out even more attractions and activities in Los Osos? Check out this more comprehensive attractions list compiled by the tourism board. If you are hiking, biking, and kayaking all day you’ll need to be sure to stop to refuel. 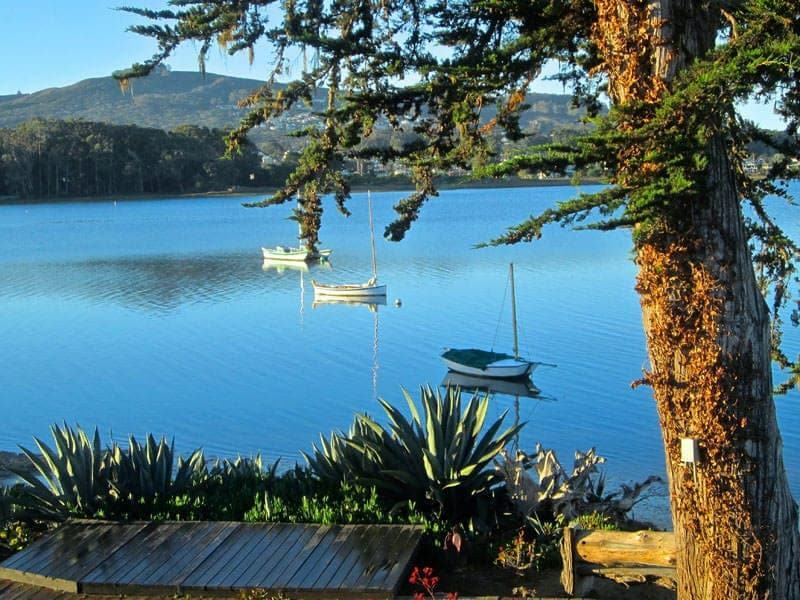 There are a number of restaurants, bars, and eateries in Los Osos to keep you fueled and hydrated to continue taking in all the beautiful nature this area has to offer. The area is known for its wine bars and craft breweries so you may want to make a pitstop at a place like the Baywood Ale House or The Libertine Pub to try the local suds. 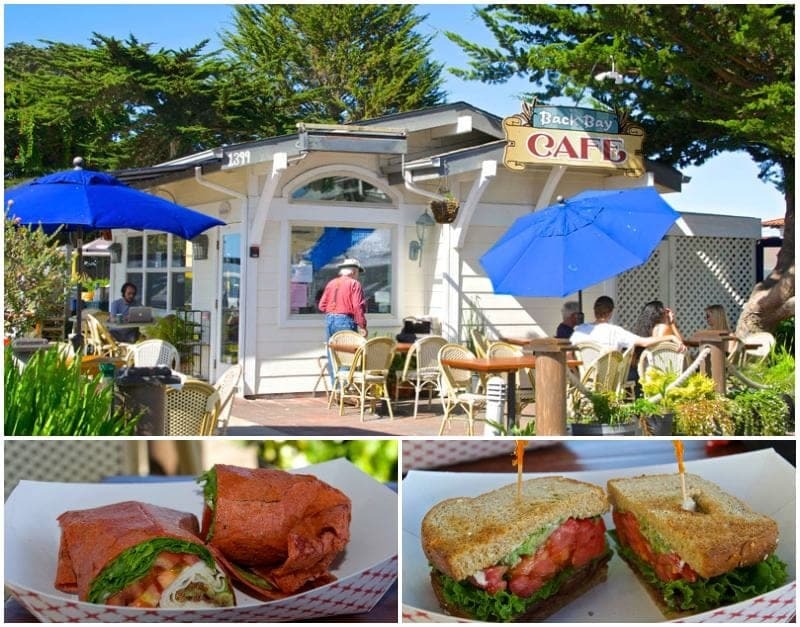 We personally tried and would recommend Back Bay Cafe (1399 2nd Street, Baywood Park, CA 93402) for good coffee and a quick breakfast or lunch and popular Sylvester’s Burgers (1099 Santa Ynez Avenue, Los Osos, CA 93402 ) for burgers and a quirky vibe. If you are looking for camping supplies or picnic food, you might want to stock up at Ralphs grocery store (1240 Los Osos Valley Road, Los Osos, CA 93402). 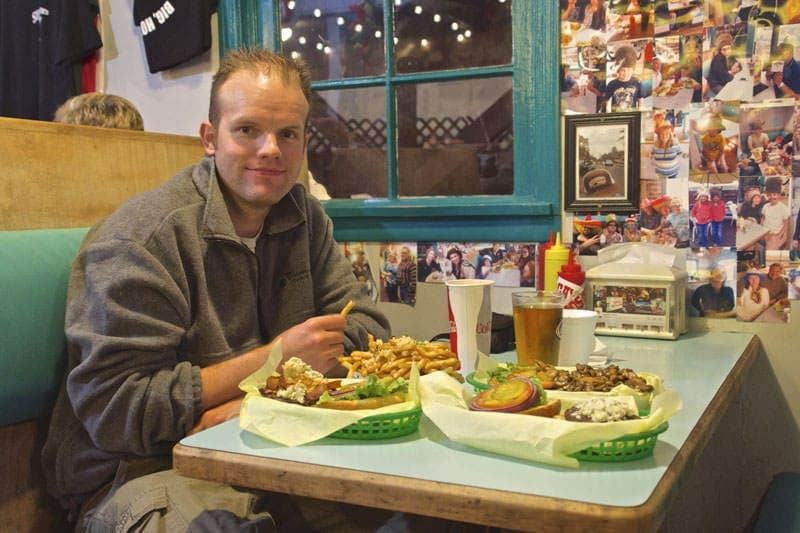 For more varied dining options, check out this list of dining options in Los Osos and the surrounding area. To fully experience this area, you should consider spending a night or two as there are a number of activities to keep you busy for at least a couple of days. 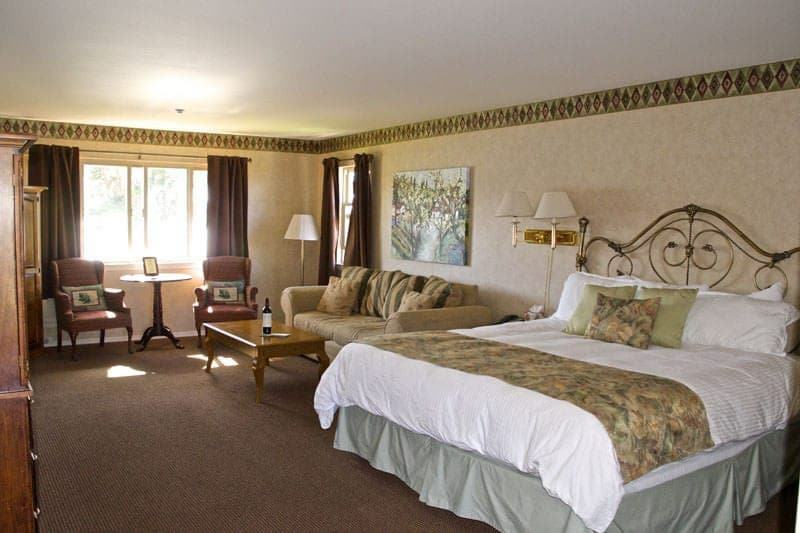 There are a variety of lodging options in both Los Osos and nearby Morro Bay, including bed-and-breakfasts, inns, motels, vacation rentals, camping and RV sites, and business hotels. 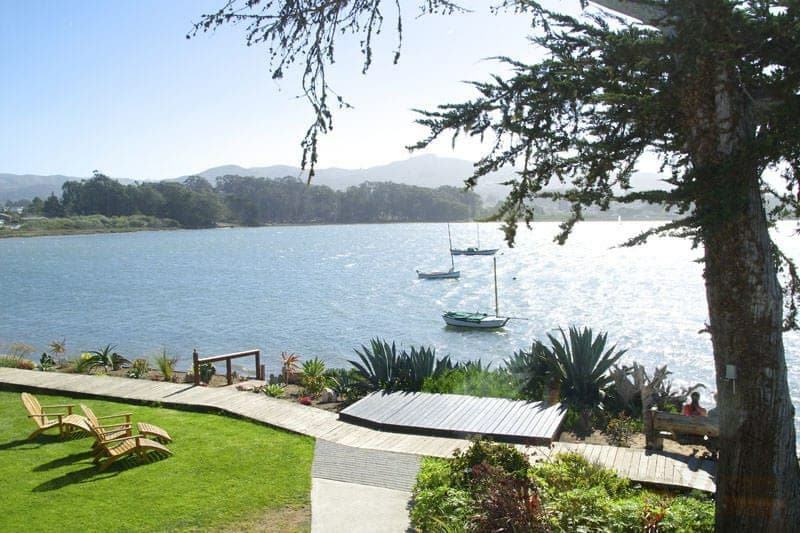 Check out this list of lodging options in Los Osos and this list of lodging options in Morro Bay. 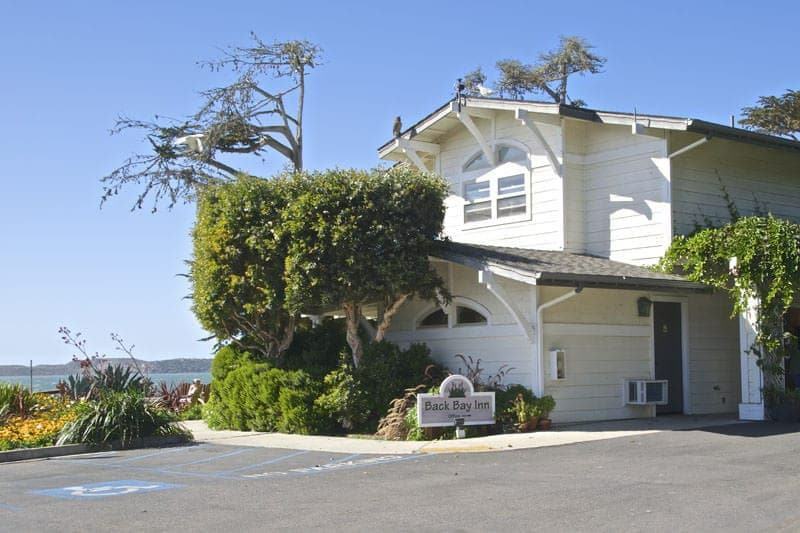 We spent one lovely night at the small and peaceful bed and breakfast Back Bay Inn, which is located next to the southern part of Morro Bay and is within walking distance of hiking trails in Los Osos. We had spent the prior two nights in Morro Bay focused on a holiday shopping adventure, and we were excited to spend some time focusing on nature and outdoor adventures. After breakfast, we set out to meet our Central Coast Outdoors guide for a morning kayaking tour. 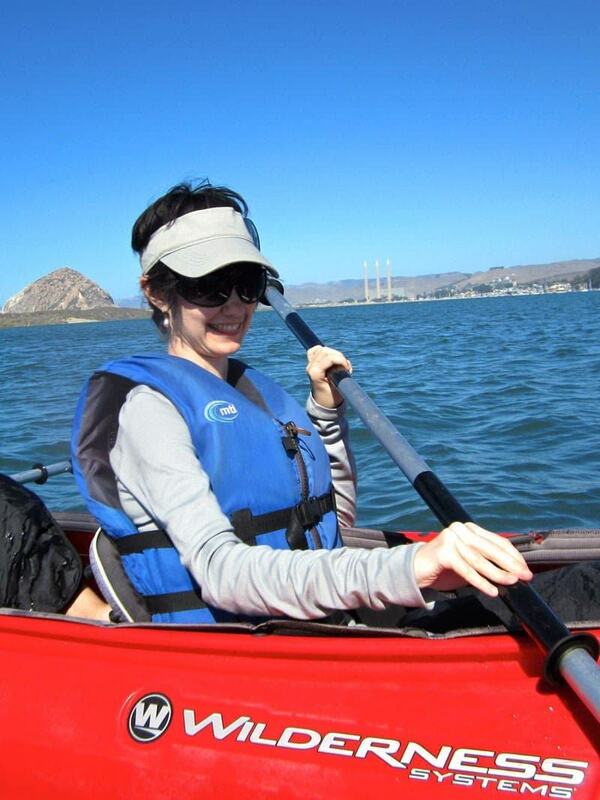 We specifically did the Morro Bay Half Day Classic kayaking tour. Our guide, friendly and knowledgeable local Craig Stone, demonstrated how to use the paddles and provided some safety tips before helping us into the two-person kayaks. We were a very small group that morning with just one other couple on the kayaking tour. 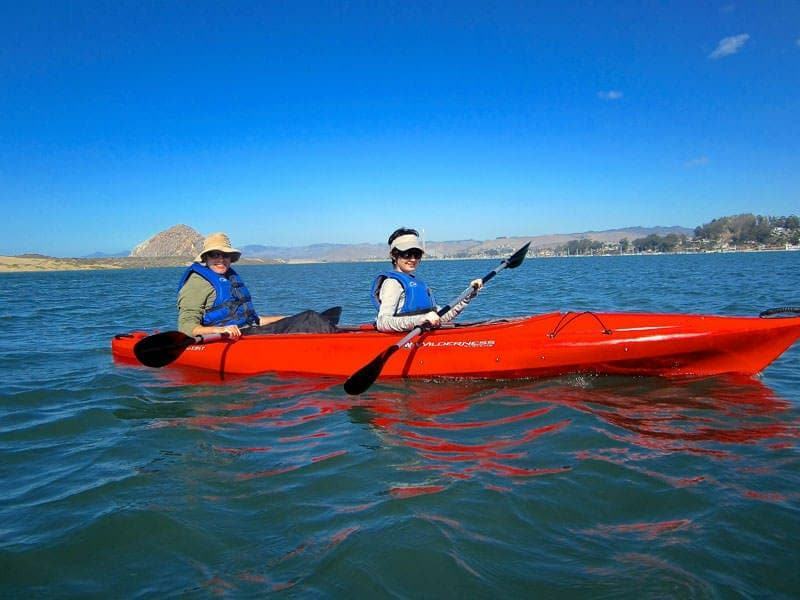 The kayaking tour takes place in Morro Bay Natural Estuary, which is home to a lot of wildlife and is protected from the open ocean by a four-mile long sand spit. Because of the protective sand spit, the water is normally very placid and the kayaking was very easy. We saw a number of birds and seals during our tour and also stopped at a oyster farming area where we learned about oyster farming in Morro Bay which is an important industry in the area. After a couple of hours of easy kayaking and learning about the area from our informative guide Craig, we then kayaked to the scenic sandspit and beached our kayaks. 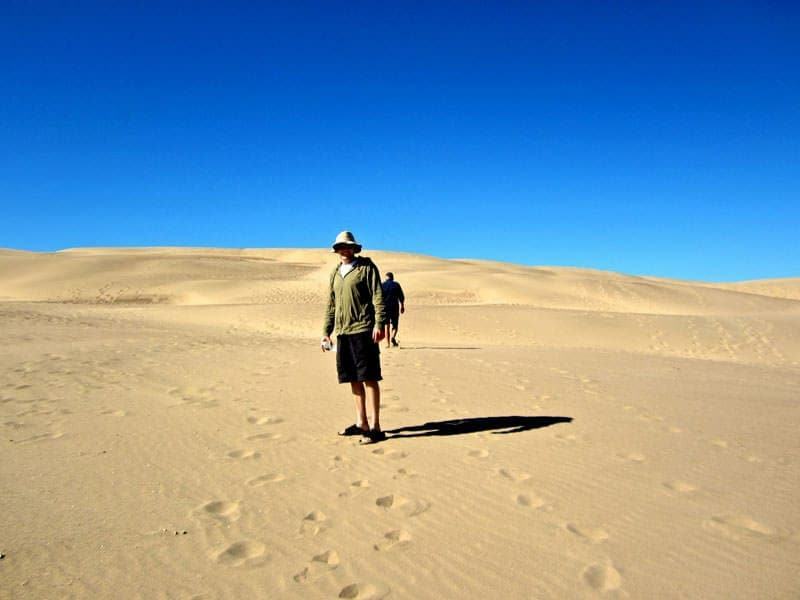 It was easy to imagine being in a desert as we walked along the relatively isolated sand dunes. 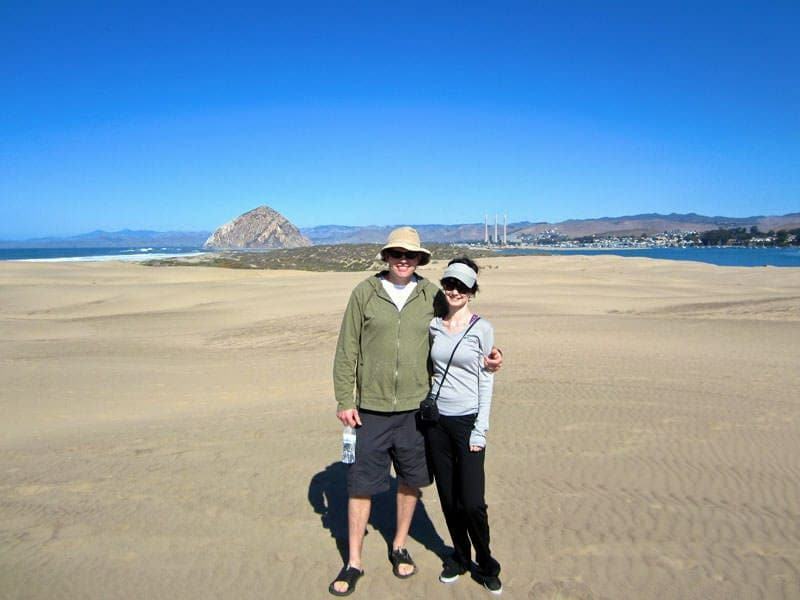 While walking along the dunes, our guide showed us a hidden Chumash shell midden, we got great views of Morro Rock and the ocean, and we took a break on the beach to drink some water and eat some snacks. After about an hour we kayaked back to the dock and drove to the Morro Bay Museum of Natural History which is located only about a minute from the kayaking dock. We spent about 45 minutes in the Morro Bay Museum of Natural History which has a number of interactive exhibits geared towards families. 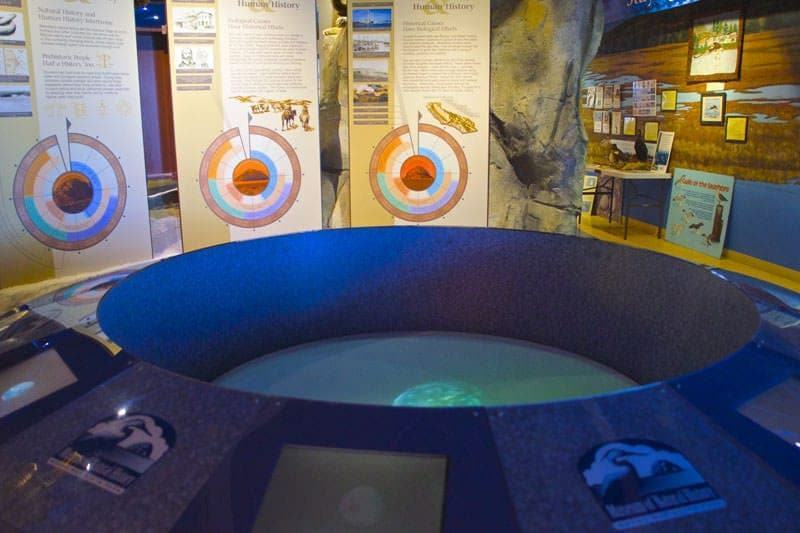 Some of the highlights included the four exhibits highlighting the four habitats around the estuary, the great views of the estuary from the Observation Deck, a number of animal skeletons including an almost complete 25-foot minke whale, and a place to watch nature videos in the auditorium. We’d recommend taking the time to hear the tale of the minke whale that washed up in Morro Bay in 2006 as its an interesting local story. After visiting the museum, you might want to then take the time to walk to the heron rookery or go for a hike at Morro Bay State Park. The docents at the museum can provide you information about the rookery, the park, and other nearby hiking opportunities. Next we needed a break from our outdoor explorations and lessons in natural history, so we headed to Back Bay Cafe in Baywood Park for a late lunch (I had a BLT and Ethan had a turkey club wrap). The little cafe is particularly known for its coffee and is a very popular breakfast and lunch spot with the locals. The cafe is located next door to our hotel for the evening, the Back Bay Inn and so we checked in after lunch and we were shown to a very nice upstairs inn room. The inn has a beautiful location right next to the bay and some gardens. Our room had two chairs next to a large bayfront window, gas fireplace, sofa, king-sized bed, and a roomy bathroom with a mini-refrigerator, coffee maker, and hairdryer. We had noticed on the way in that there was a festival happening in the street that runs near the inn so we decided to check it out on foot. 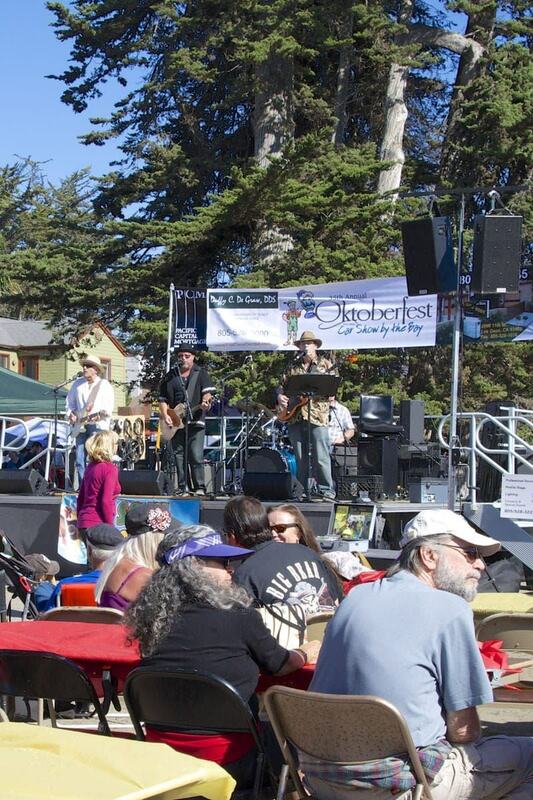 It turned out to be the combined local annual Okoberfest and Car Show by the Bay, so we walked along enjoying the live music in the beer garden, food stands, and classic cars. If you are interested in knowing what events might be happening during your stay, you can ask at your hotel or check out the events page on the tourism website. Next we decided to resume our outdoor ramblings and headed to Audubon Sweet Springs Nature Preserve which was about a 5 minute drive from the inn. We walked what appeared to be the main trail, which took us past cypress and eucalyptus trees, ponds, a salt marsh, and up to the edge of Morro Bay. This is a great place for bird viewing and we saw several during our walk, along with squirrels, a turtle, and Monarch butterflies. We spent a little over an hour here and then headed back to Back Bay Inn to get ready for dinner and to enjoy the complimentary wine reception held each evening for guests. Then we opted to have a casual dinner and decided to try out the popular local hamburger joint, Sylvester’s Burgers. The place has a quirky kitcshy vibe inside with photos of customers dressed in wigs and costumes all over the walls, funny hats hanging from the rafters, neon beer signs, beach decorations, etc. We had a hard time choosing which of the burgers we wanted so we ordered three burgers (Black & Bleu, Mushroom, and Buffalo burger) and a basket of garlic fries and split everything! The food was messy but tasty and hit the spot after a long day of sightseeing and outdoor adventures. Sylvester’s also serves beer and I was persuaded to try the 805 beer which is a local Central Coast beer. After eating as much of our burgers as we could, we headed back to Back Bay Inn for some relaxation time in front of the fireplace and an early evening. The next morning we got ready, checked out of the hotel, and walked over to the Back Bay Cafe again for breakfast. The Back Bay Inn does not serve breakfast at the inn (only morning coffee and tea), but instead provides complimentary vouchers to receive a free breakfast at the next door Back Bay Cafe. The morning appears to be a very popular time for locals to pop in for coffee in the midst of walking their dogs and we ended up chatting with a table of locals accompanied by their dogs. After a hearty breakfast and some good coffee, we headed to our last outdoor adventure of the trip: hiking at Montaña de Oro State Park. We definitely agree with those who say that Montaña de Oro State Park is the must-see gem of the many natural parks and reserves in this area of the Central Coast from our explorations so far. While not well known outside of the area, this spectacular park offers rugged coastlines, beaches, tide pools, sand dunes, cliffs, coastal plains, streams, and equestrian trails, and includes lot of opportunities for nature hikes, mountain biking, and many other outdoor adventures. We stopped and hiked one of the trails that leads towards the coast (we didn’t note which one but perhaps the American Canyon Trail), spotting wild turkeys, hare, and lizards along the way, and we spotted several surfers enjoying the surf on this beautiful and warm November day from our viewpoint on one of the cliffs. There are a number of hiking trails throughout the park and two popular and scenic trails are the Bluff Trail and the Dunes Trail to Hazard Canyon Reef. During our visit, we stopped to walk around and take photos at the beautiful Spooner’s Cove which is located right next to the park’s visitor’s center and headquarters, and to see the Spooner Ranch House which was built in the early twentieth century and learn a little history of the area. We also drove to the end of the park road and hiked for about an hour on Alan’s Peak Trail which leads to the highest peak in the park at 1,649 feet, but we did not go all the way to the peak. Other peak trails in the park include the Oats Peak Trail and Hazard Peak Trail. After hiking at Montaña de Oro State Park, we packed up the car and headed back home to the San Francisco Bay Area. We found Los Osos and Baywood Park to be a lovely place to escape for a weekend of kayaking, hiking, and relaxing. We also really enjoyed the small town atmosphere and joining in on the local Oktoberfest and Car Show that took place during the weekend of our visit. It’s definitely a nice place to escape city and suburban life and commune with some nature. If you are planning a trip to this area, you might also want to read about our visit to nearby Morro Bay. What kinds of activities would you choose to do if spending a day around Los Osos California? 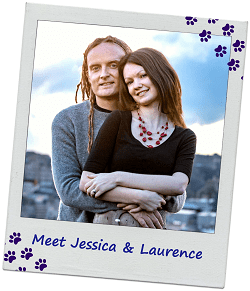 If you have any questions or would like to share any tips for us and our readers about this area, we’d love to hear from you! What is the name of the company you used for your kayaking adventure. My husband and I are planning a trip to California for our 7th anniversary and are coming from Oshawa Ontario. We are planning on flying from Toronto Ontario to San Francisco and driving along the coast to Hollywood. Your blog is a great source of information. That sounds like a fun honeymoon and I am sure you will have a lot of fun. We have a lot of content about California on the blog (I used to live there) including a post on driving the Pacific Coast Highway which may come in very handy for your particular trip! We used Central Coast Outdoors for the kayaking trip we took in Los Osos. We had a great time and would recommend the company. Hope that helps and let us know if you have any other questions. Wishing you a wonderful honeymoon vacation. This is a nice and useful bit of information about Los Osos. Planning a trip here soon from SF and this information is helpful in deciding what to do on a short stopover there! 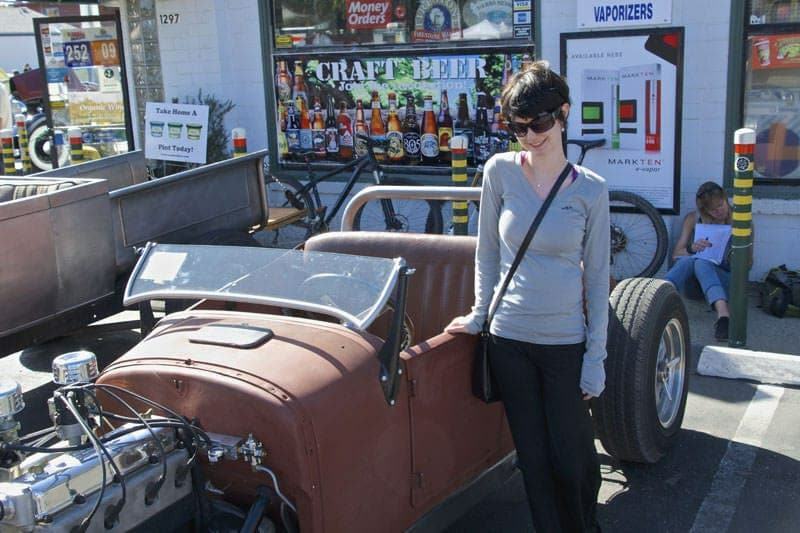 I am a writer who lives in Morro Bay — for a long time. 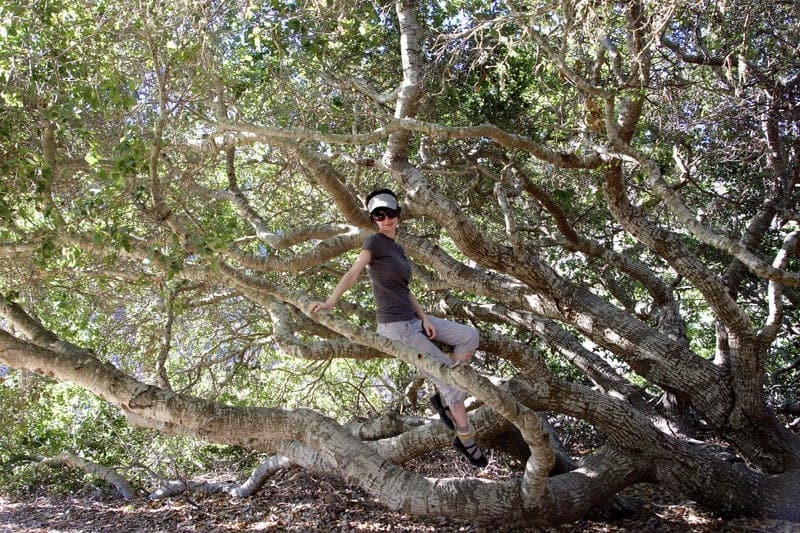 Sorry you missed the Los Osos Nature Reserve on Los Osos Valley Road because you would have found out that those oaks are not dwarfed — just more than 800 years old. The 90 acre dwarfed oak reserve is the Elfin Forest. Different places. 800-year-old coast live oaks” http://www.parks.ca.gov/pages/597/files/LosOsosOaksBrochr2011.pdf and the Elfin Forest (http://www.elfin-forest.org/) is indeed a 90-acre protected natural area as well. Enjoy the beauty of this area. So many awesome things to do! I think I would like the kayaking experience the most. Yes, I think if I had to pick one thing that was my favorite experience it would be the kayaking trip as it was such great weather and such a fun time. Hiking in the parks though was a close second. What a fun trip. Thanks for sharing! It was a great time. Looking forward to my next weekend Cali trip! Morro Bay is a fun stop even if you can’t stay for long, so anyone making the drive along Highway should at least stop and see the big rock. 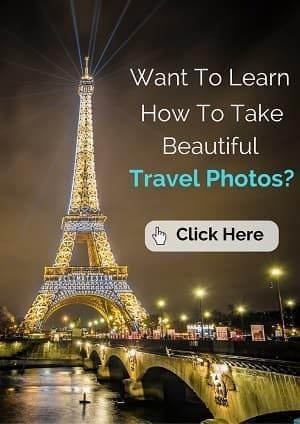 Great pictures and travel information! Agreed, Steve! 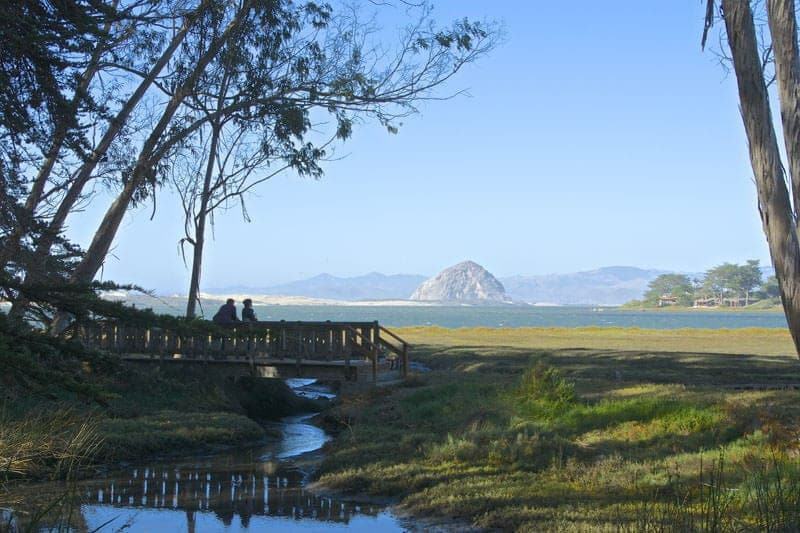 Morro Bay is a great stop along Highway 1 and just a little further and you are in Los Osos and near all the mentioned parks and nature preserves! I’ve sadly never explored California outside of the LA area – I’m hoping to change that this year. The nature preserve looks beautiful! And I’m staring longingly at the pictures of you kayaking, we have almost 5 feet of snow on the ground now and all I can think about is summer. Hi Jess, I hope you get to come explore some of California this year. LA is really not much like the rest of the state and there are so many great parks and nature preserves to explore like the ones around Los Osos. It looks so beautiful and idyllic! That last photo in the tree is lovely. 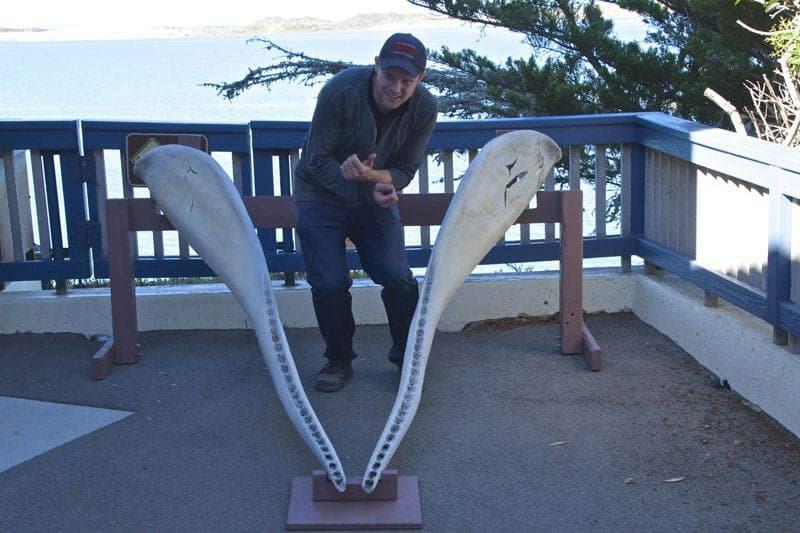 I love seeing whale bones and taking my understanding of how big they are beyond my imagination. 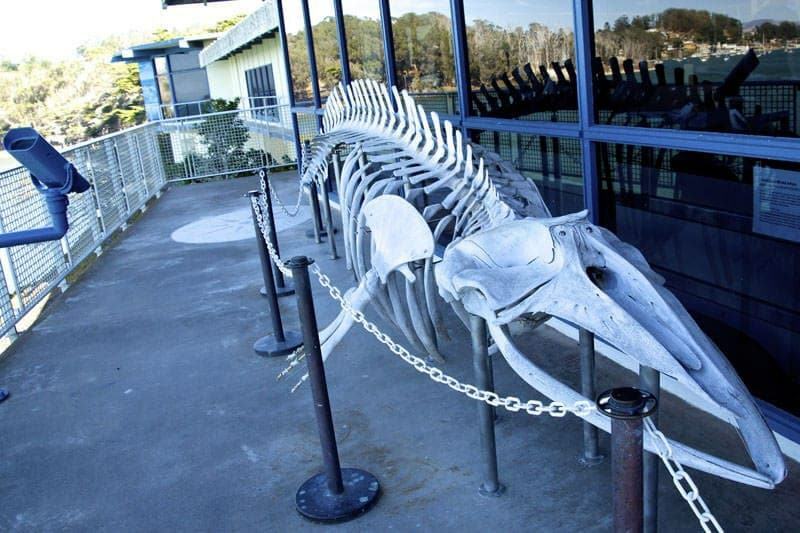 Yes, it so amazing seeing animals, or their skeletons, up close as it is amazing how large some animals like whales are comapred to us! Jessica, This looks like such a fantastic place to spend the weekend, outdoorsy and relaxing, both great! Thanks for once again linking up with us with Weekend Travel Inspiration! The Central Coast of California is such an ideal place for great weekend outdoor activities, we are lucky to live so close! My gosh! We have just returned to Australia from a month long trip around California. I think we drove straight past Los Osos! How could we miss it. Well….now we have a reason to head back! Indeed! I don’t think this makes it on most month long trips to California as there is such a long list of must-see tourist destinations in this state and it’s so huge! But you’ll have to stop if you make it back to the Central Coast. Los Osos is indeed a very photogenic place! The Back Bay Inn was really nice and had great views of the bay. Glad you like the photos Muza-chan! Thanks for sharing this post. I’ve never been in Los Osos so far, although I visited the Central Coast many, many times. 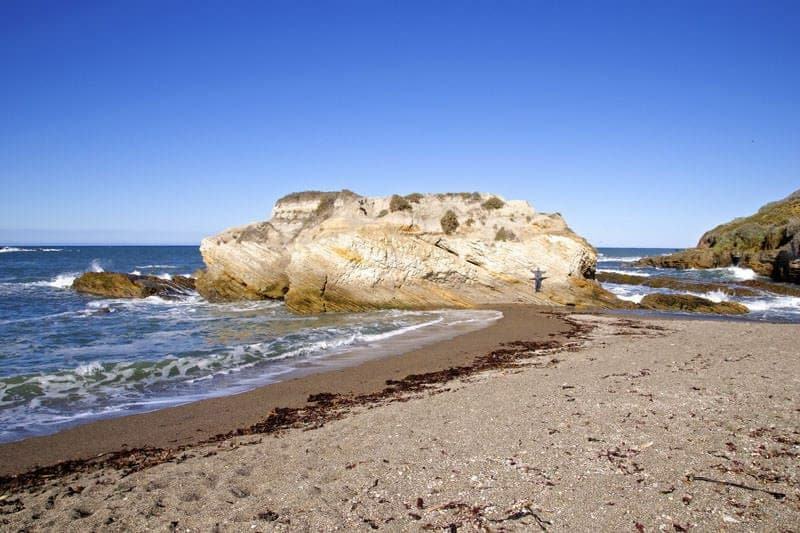 Judging from your photos, I’d say Montaña de Oro State Park is the must-see for sure. 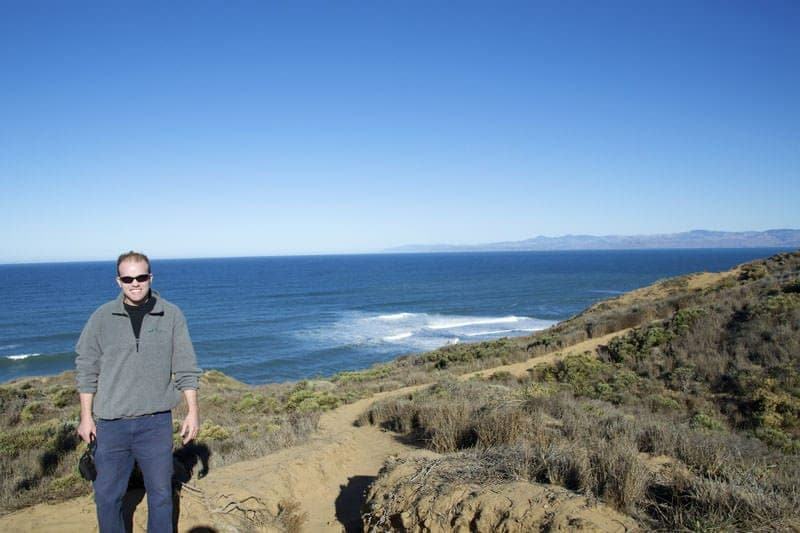 Hi Anda, hope you get a chance to visit Los Osos and Montaña de Oro State Park on your next trip to the Central Coast! 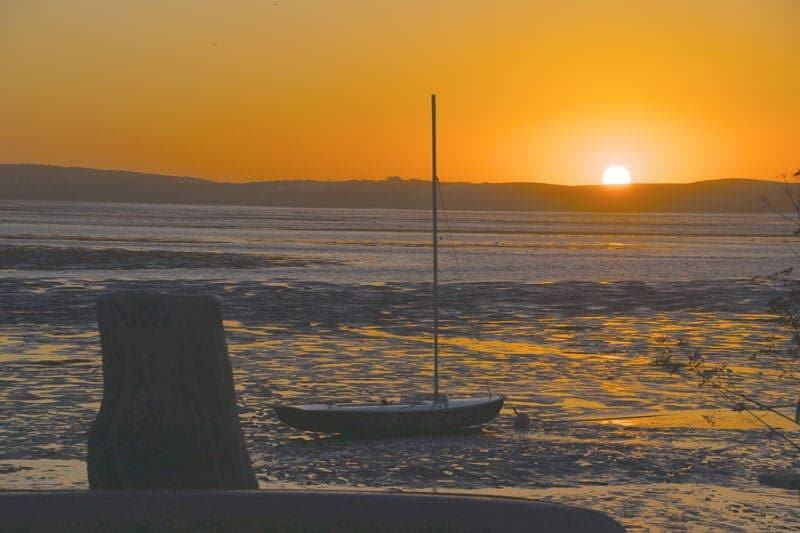 There are many wonderful seaside towns along the coast that many visitors miss! California is the most beautiful state, I don’t mind saying it often! It is definitely a very scenic state! I really love the coastline and Highway 1 has a lot of interesting and scenic coastal towns to explore.